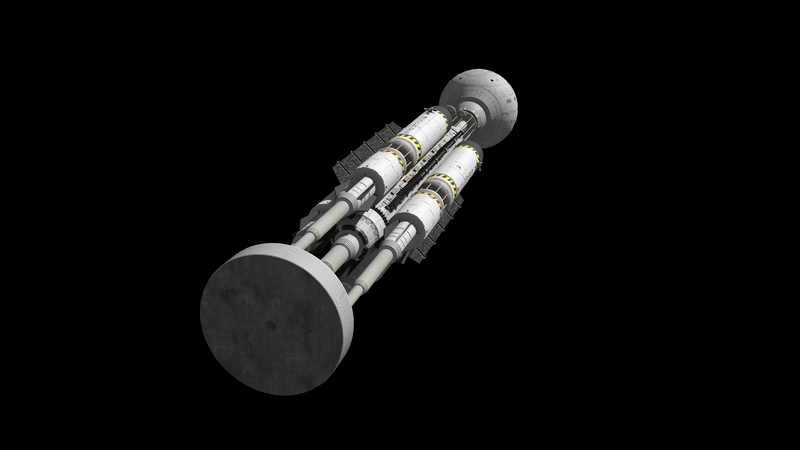 During the early design phase of 2001 : A Space Odyssey, the idea was floated that the ship's nuclear propulsion should be somewhat more explcit than what eventually made it onto the silver screen. 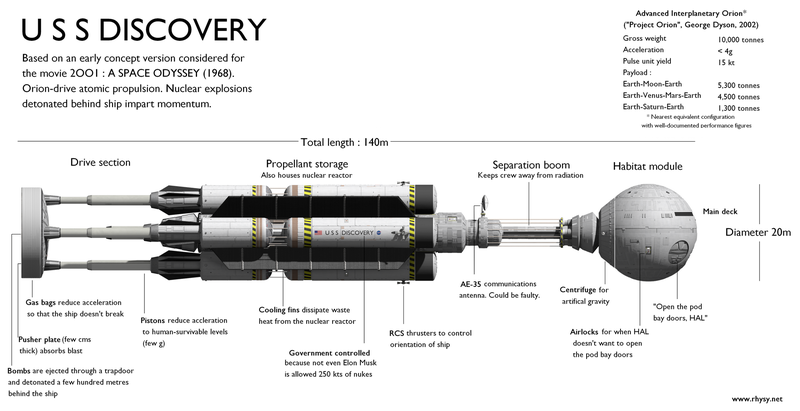 Specifically, the ship would have had an Orion nuclear pulse drive, probelling itself by detonating nuclear warheads (a.k.a. "pulse units") a few hundred meters behind it. There's a detailed write-up on my blog. One of Robert Forward's more interesting efforts. I would have loved to have seen that properly portrayed on the big screen (of course, Hollywood and "accurate portrayal" are almost completely opposite terms, but...). Forward? 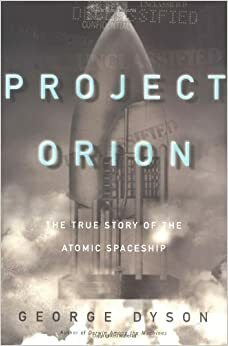 Orion wasn't one of his, that was Ulam and Everett's concept developed by Ted Taylor and Freeman Dyson et al. *slaps forehead* Oops, begging y'all's pardon, I did mis-remember what name was associated with Orion. Now this is cool. Click on image to enlarge. 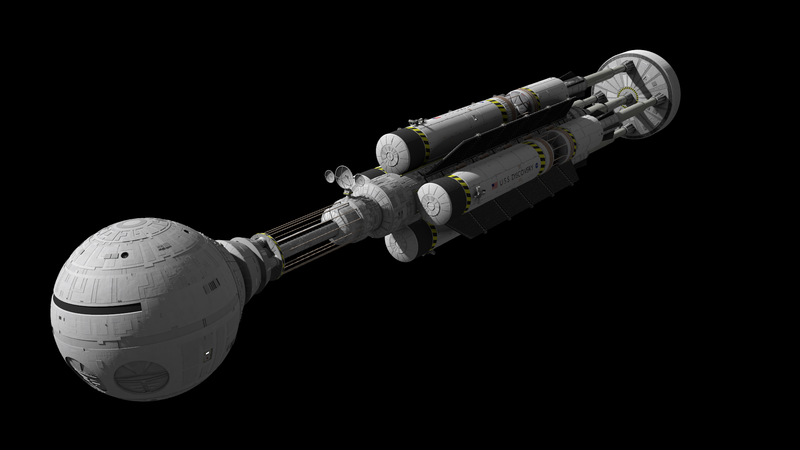 Aries trans-lunar shuttle. Space Station V has two docking bays on either side of the rotational axis of the station. We did not see the lunar shuttle side in the movie. More fan art. Click to enlarge.